Planning section: Planning section at Headquarters is headed by Chief Traffic Planning Manager (CTPM), assisted by Assistant Transportation Manager (Planning), Assistant Transportation Manager (Rules) and Vice Principal (Multi Disciplinary Railway Training Institute (MDRTI) Dharwad. Each of the 3 Divisions (Bengaluru, Mysuru & Hubballi) is headed by Senior Divisional Operations Manager who is responsible for planning, rules at Divisional level. a.Processing of work proposals of doubling and traffic facility. b.Approval of Engineering, Signalling and Electrification plans. c.Approval of Traffic Survey Report for new lines and doubling. 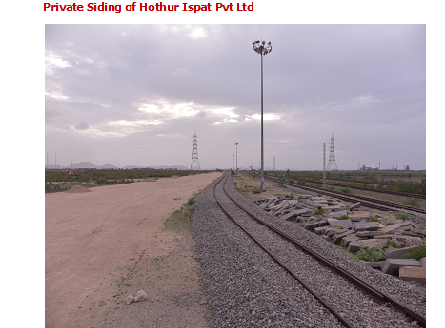 d.Planning section is Nodal Agency for dealing with proposals of Private Sidings and Private Freight Terminals (PFT). a.Framing of various rules to rule books and manuals like General and Subsidiary Book, Block Working Manual, Accident Manual etc. a.Procurement of stores items for COM office line stationeries, office equipments etc. Chief Traffic Planning Manager is the Training Manager for this institution. It is one of the premier institutes of Indian Railway caters to training needs of South Western Railways. This institute caters for training of Safety aspects of frontline staff. More than 1500 trainees are coming out from this institution every year. The training activities of the institutions are initial training courses for SMs, Guards, TNCs, Track Machine Operations, Tower Wagon Drivers, Apprentice JEs, Ticket Examiners, Commercial Clerks, ECRCs, C&W technicians and points men. Refresher Courses for Pointsman and C&W Technicians. Apart from these, special courses will be conducted like pre promotional, customer care, orientation, crash courses and Motor Trolley Competence for TRD staff. PROPOSALS IN SOUTH WESTERN RAILWAY. Chief Traffic Planning Manager (CTPM), South Western Railway, New General Manager’s Office, East Block 2nd Floor, Gadag Road, Hubli – 580020 is the Nodal Officer for dealing with proposals for Private Sidings and Private Freight Terminals. All Private Railway Siding proposals are dealt as per Freight Marketing Policy Circular No. 99/TC(FM)/26/1/pt-II dated 22.08.2016 and subsequent modifications/amendments issued from time to time. All Private Freight Terminal proposals are dealt as per Freight Marketing/Master Circular PFT Policy Circular No. 2011/TC(FM)/14/14 dated 02.01.2015 and subsequent modifications/amendments issued from time to time. Private Freight Terminal (PFT) proposals. Any customer desiring to have a Private siding/PFT shall apply on line in the Indian Railway Web portal http://ircep.gov.in/PVTSDGCustomer can get the survey and construction of the Private Siding/PFT through any one of the following agencies viz. 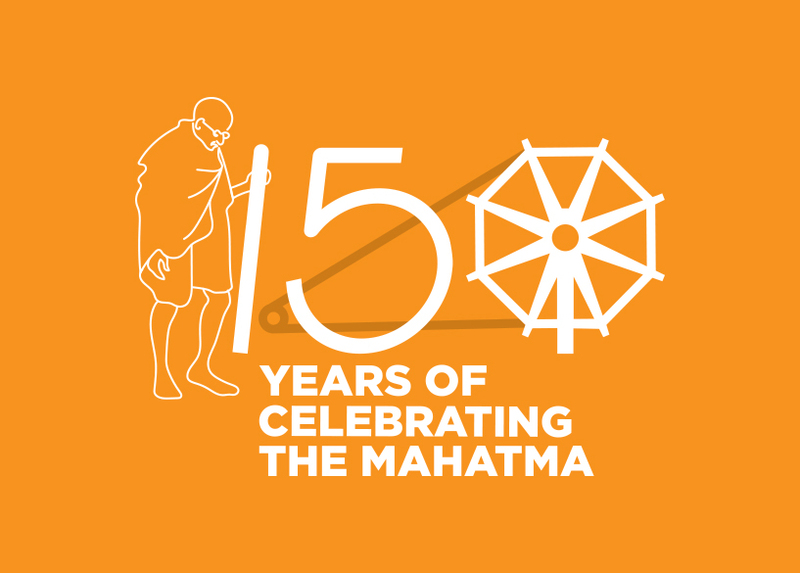 ; through Railway or approved consultants over South Western Railway. RITES and IRCON are treated as approved consultants. A list of approved consultants is available in the above Web portal. A hard copy of the online application along with drawing are to be submitted to the CTPM for further processing. All requests of Private Sidings have to be accompanied by a Demand Draft for Rs. 20,000/- as registration fee (non refundable drawn in favour of Principle Financial Advisor, South Western Railway, payable at Hubli). The application for PFT shall carry registration fee of Rs.10,00,000/- (drawn in favour of Principle Financial Advisor, South Western Railway, payable at Hubli). Request letter from the customer with the Registration fee would be processed by CTPM in accordance with the extant instructions of Railway Board on sidings policy. Details provided by the party such as nature of traffic, dealing station, activity to be performed, traffic pattern with a conceptual plan. The details provided in the application will be analyzed operationally by CTPM. If the dealing station has potential for provision of Private siding/Private Freight Terminal, CTPM would issue “CONCEPTUAL APPROVAL”. This conceptual approval indicates that it is feasible to provide Private siding/PFT at the desired station subject to the extant instructions in force. However, it does not entail any status of reservation of the station to any customer. Feasibility Report (14 copies) indicating the following should be submitted by the executing agency within 30 days. Traffic details like origin/destination of inward/outward traffic with types of rakes proposed. Proposed layout and facilities to be developed by Party in Railway premises and in private land. Abstract Cost estimates for each facility (Civil Engineering estimate, Electrical and S&T estimates and Commercial and Mechanical Estimate, if required). In any case, if the party who has been issued with the conceptual approval does not submit the Feasibility Report in one month period, conceptual approval is deemed to have been cancelled. CTPM shall examine the Feasibility Report in consultation with other concerned departments and put up the report to the Competent Authority for ‘In-Principle’ approval. CTPM shall issue ‘In-Principle’ Approval to the party. Detailed Project Report based on the in-principle approval along with P.Way plan shall be prepared by the customer and to be submitted along with detailed. Codal charges amounting to 2% of the detailed estimate so prepared shall be submitted by way of DD in favour of PFA /SWR/Hubballi. DPR in 14 copies shall be submitted to CTPM. DPR shall be analyzed by all the concerned departments and communication to that effect has to be sent to CTPM. Any modifications/ suggestions shall be communicated to CTPM who shall get these incorporated in the DPR/Plan. Chief General Engineer (CGE) is the co-ordinating officer throughout the construction stage including activities for approval of plans and sanctioning of estimates. After approval of Engineering Plan, Customer is required to submit Signal Engineering Plan and OHE lay out plan for approval. CTPM shall issue the approval of DPR. For PFT, a security deposit of Rs.10.00,000/- shall be deposited by the Applicant within one month of granting of approval for setting up a PFT, failing which approval shall be withdrawn. Upon successful completion of PFT (1 year for Brownfield PFT and 3 years for Greenfield PFT from the date of final approval) 99% of the security deposit will be refunded within 30 days of issue of Notification of the PFT. 1.The provisional “Integrated Siding Agreement” (ISA) will be signed by the Party in token to the acceptance of various provisions of the final agreements, which would be signed after completion of work and before notification for commissioning of the Siding/PFT. 2.After signing provisional ISA, Party will apply to Chief General Engineer (CGE) for getting various parts of the total work executed either by the Railway or by the Party under Railways supervision or by the Party through Railway’s Approved Consultant. 3.Chief General Engineer (CCE) will decide on the mode of execution of each part of the work in consultation with all the concerned departments and Party will be informed accordingly. Party will also be advised to make various stages of payment, as applicable for the above mentioned three scenarios. Party has to deposit the requisite amount in favour of Railways as per stages already advised to the Party. 1.Proposals for licensing of Railway land shall be processed by Engineering Branch and in consultation with other Branch Officers. After the approval of DRM, the proceedings shall be submitted to the nominated Land Licensing Committee in Headquarters, will process for licensing of Railway land. Chief General Engineer will communicate the approval of General Manager to the Party. 1.Construction of the PFT will as per the provision of Private Siding Policy. 2.Party has all submit half yearly return of expenditure on the project to Railway. 3.After completion of the work as per the approved plan and estimate, completion of the Siding/PFT along with details of audited Total Completion Cost of project will be submitted by the Party/Executing Agency to CGE. 4.Party has to deposit the codal charges (4% for all the works except OHE and S&T works. 6 ¼% for OHE & S&T works) of Total Completion Cost of the project reducing the amount already deposited with Railway. 5.If CRS sanction is required for commissioning of the Siding/PFT projects, Division will coordinate, prepare and sent documents for CRS sanction to Headquarters. Documents for CRS sanction will be processed and sanction will be obtained from CRS. 6.Completion Certificate for the siding/PFT project will be issued by Division. 7.The “Integrated Agreement” for the Private Siding/PFT shall be signed on the Division by Sr.DCM & Sr.DEN for their respective portions of the agreement. 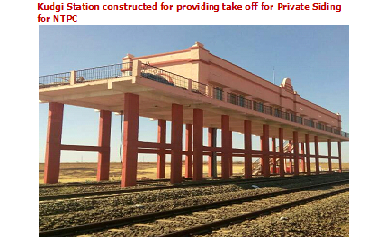 8.Commissioning of the Siding/PFT will be notified through CCM/FM and circulated. 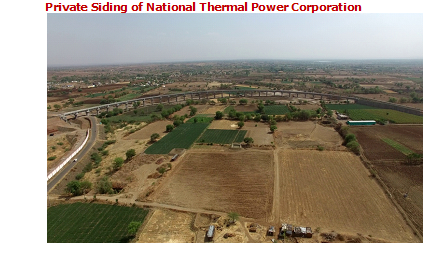 9.CCM/FM shall be the Nodal Officer as soon as the siding/PFT is notified for commissioning.